The environmental practice has been an important part of Whiteman Osterman & Hanna since the Firm was founded; the practice has since expanded to become among the largest of its kind in the Northeast. While many law firms have relatively recently established environmental law departments or concentrate their environmental practice on Superfund litigation, the strength of Whiteman Osterman & Hanna is our understanding of the complex interplay of federal, state and local environmental laws and regulations. 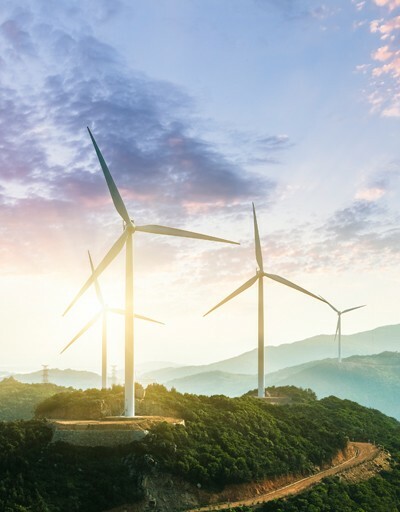 Recognizing that no individual can possibly master all aspects of the rapidly expanding universe of environmental laws, the Firm elected many years ago to ensure that each attorney develops expertise in a particular sub discipline. Thus, within the environmental practice group there are attorneys who specialize in hazardous and solid waste, surface and groundwater, air emissions, environmental auditing and corporate compliance, and criminal litigation, among other areas. At the same time, each attorney is expected to be sufficiently familiar with key federal and state regulations to identify issues outside his/her area of expertise. When confronted with a multi-media problem, this approach allows the Firm to assemble a team of attorneys with the depth and breadth of experience necessary to address any issue that may arise. Whiteman Osterman & Hanna regularly represents many of the major FORTUNE 500 companies in New York State and the Northeast, including the largest utility in New York State, major manufacturers and distributors of photographic and imaging products, paper and allied products, organic and inorganic chemicals, pharmaceuticals, industrial abrasives, pesticides, and fertilizers. Many municipalities are among the Firm’s environmental clients. The Firm also represents numerous small to mid-sized industrial companies, land developers, and trade associations in environmental matters. The diversity of client base gives Whiteman Osterman & Hanna a unique perspective on the potential impact of environmental regulations. Two former General Counsels of the New York State Department of Environmental Conservation, one of whom was also Deputy Commissioner. A former Assistant Commissioner to the New York State Department of Environmental Conservation. A former Assistant Counsel to Governors Hugh L. Carey and Mario M. Cuomo. This government experience provides us with valuable insight into the decision-making processes of the federal, state and local government agencies regulating our clients. Attorneys in the group have also served as adjunct faculty members at law schools, universities and colleges, have been active in leadership positions in the New York State Bar Association Environmental Law Section and have written extensively in the environmental law area.